I've been doodling on a near-future con-city, a huge metropolis with no cars. It's a rather utopian thought, but I like utopias. Instead of cars, the citizens will move mainly by underground rail. One question I find most interesting is that of designing the ideal rail network. A simple grid sounds like an easy solution. You never need more than one change to get somewhere, and it's easy to figure out which way to go. You probably need more stations near the centre, but that's easy to achieve by making the lines run closer there. That would lead to the peculiar effect of having increased density near the sides of the squares. We could adjust for that by making the lines bend towards the corners, altho that does sort of ruin the simplicity. A grid system is quite decentralised, with no station having too much traffic, which could be both good and bad. A concentric system, like a spider web, automatically solves the issue of higher density in the middle. But it's hard to adjust the density change. If you have a lot of spokes, it might be too dense in the middle, and if you have fewer, they might be too far apart on the edges of the city. One good thing about this system is that it makes it easier to get to the centre, which presumably is a place where many people want to go. It would probably have a great deal of people concentrating in the central station. Another good thing is that the circular lines never have to turn. Lines that come to an end and turn around are inefficient, because they mean more people have to change lines; if you go from A to B, the only place you definitely don't want to go after that is A, so in principle it's always better that the train turn around. A variant would be a sort of branching web system, where the spokes split up when you get further out. That should help adjust the density. Another way of doing a grid would be to make it hexagonal. That way, you're more likely to find a direct line to nearby stations. It might be a little less neat tho, since the city in general probably isn't full of hexagonal shapes. The rail network might not fit in as well as a square grid would. A quite different idea would be a tree-layout. A central station connects to a few big stations, with very wide lines. Each of those big stations connects to a few medium stations, which in turn connect to small stations, and so on. This type of network is useful for many other purposes (i.e. the internet) but might not be great for a city rail system. It is suitable if the city has several places that act like centres, but otherwise is might make the big stations too crowded. If the trains continue at each station, so you don't always have to change, that might make the system very complicated, and it might also be difficult for practical reasons, since the trains might have to turn at sharp angles. Are there any other advantages or disadvantages of these ideas? Any other interesting layouts to consider? Hexa seems nice. Not true hexa, but overlaping hexagons. Anyone else see "underground railway" and think this was going to be about something else? Might want to add in "express" vs. "local" trains, so that you can travel between major hubs without stopping, and then take a local once your in the general vicinity. I don't understand. Do you also think the 'ultimate' road network would be a grid of perfectly orthogonal roads covering every inch of the country? Why not just have a sensible system - ie one that's geared to the demand on the ground? That wouldn't be based on any ideology, but on the actual demand however it happened to be. I'm pretty sure he's talking about a subway. That is, the underground rail system for a single city. ...fine but wait i don't understand what is this "rail" word mean? And "city"? I don't know what a city is!? Actually, when I said "I don't understand" I mean that I didn't understand his thinking, not that I didn't know what an underground railway system was. Patently, it's a system of railways that are underground. And for what it's worth, I live in London, by the way. The concept of an underground is not unusual to me. The point is that the best underground is an underground that is designed to meet the demands of the citizens and their patterns of travel. Needless to say, this will not conform to any regular, unweighted, symmetrical system like a grid or a wheel or a tree. There will be lots of lines where there is lots of traffic, and few lines where there is little traffic - and lines will be based upon types of commuters, rather than shortest routes (ie the Waterloo and City connects Waterloo and Bank, because the people who work near Bank often live in Surrey, and thus get off the mainline at Waterloo) - with, in many cases, an element of social engineering involved as well (by connecting neighbourhoods you bring them closer and add mobility to poor neighbourhoods). Well, I wasn't sure what to call it - it seems that every country has a different name for this type of transportation. Sal: It's largely a mathematical abstraction. In some cases such abstractions would be far from reality - for example if you were to assume that an entire country is homogeneous - and in some cases they would be closer to reality. I'm of course comparing with the city layout thread; there are apparently many cities which have a basically grid-shaped road system, even though I expect they aren't quite perfect grids. If we were dealing with a real city we would have to deviate from the simple model, but it's still a place to start. One example is the Stockholm underground. It's a bit smaller than the London counterpart, having only three lines. All the lines go through the central station. Roughly 5 km from the centre, they branch out into multiple lines. Of course, they're not laid out in geometric perfection, but it's close enough that you can see the pattern on a satellite map. It could be even closer if our imaginary city was a) planned in advance, and b) not situated on an archipelago. But yes, I do agree that a grid system would be more inefficient than a system designed to fit demand. If you have a regular design at all, I imagine a branching web of sorts, with more branches in places where there is higher demand. ... I just realized where I made the mistake, by the way. Totally missed that you were making an analogy, due to uncareful reading. 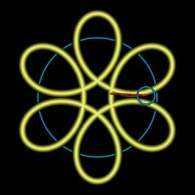 I think a flower-shaped subway system consisting entirely of ring lines might be interesting. Each of the yellow "petals" would be a ring line connecting the city center and two suburbs which are adjacent to each other. The innermost points of these lines might either all meet at a single Central Station, or else there might be several hubs close to the center, with two or three of these "petal lines" meeting at each hub. On their way out from the center, each pair of two adjacent petal lines might share a single set of railway tracks up to the (first) blue ring line. In order to also allow people to travel from one end of the city to the opposite side without having to change trains, two petals each (on opposite sides of the city center) should probably be connected, forming an 8-shaped layout of each petal line. 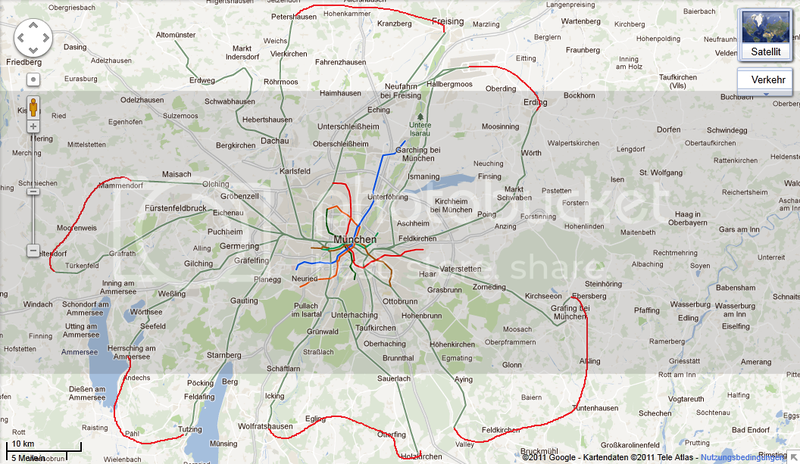 This would be especially useful if there are several hub stations in the center instead of just a single Central Station, because if planned properly it should be possible to get trains of all petal lines serving all central hubs, and passing half of all central hubs on one ride across the city. Chuma, you might want to look around this set of pages: http://www.carfree.com/intro_cfc.html. Cedh: That's the sort of idea I'm looking for. It looks cool, but it just feels like the trains are sort of going backwards a lot. If you live on the edge of one petal and want to go to the next, you have to start by going in the opposite direction. Sort of counterintuitive. But pretty. Oslo has another interesting solution. It's basically a ring, with the different lines leaving the ring in different places. So it's almost like a basic all-roads-lead-to-the-centre layout (that should have a better name) except that the centre is a whole bunch of stations. So when you want to go downtown, you can be more specific than just going to the central, without having to switch lines. Clever. the ultimate subway is a bad question to begin with. subways work in concert with buses, trams, bicicleways, and stuff.. the question is about the "ideal" public transportation system for a given city, which is highly dependent on the city itself. as for ultimate subway as in trying to build a wonder of the world ultraexpensive proyect, yeah, pretty shapes should work. is there a reason, though, for the shape of the system being regular? True. For instance, if Morgantown, WV (the city where I went to college) were to grow big enough to warrant a subway, it might need to go with something else entirely because the earth below it has been hollowed out enough due to coal mines. Torco, you're just doing it on purpose now. Buildings limited to four stories? 80% greenspace? Whoever wrote this article is working on two assumptions: 1) that his trip to Tuscany was super awesome and those Reagonite cavemen back home just don't, like, understand, man. And 2) everyone is rich. How else could they afford to live at such low density and still be able ot have such advanced transportation networks? There's a reason why apartment buildings are twelve stories: folks don't got money. Well, because it's an idealised picture? In a city with heavy suburbanisation in the north but largely agricultural landscape in the south, having "petals" in the north but more "normal" lines in the south might make more sense, of course. Plus, it's normal for public transport maps to be highly stylised/idealised. 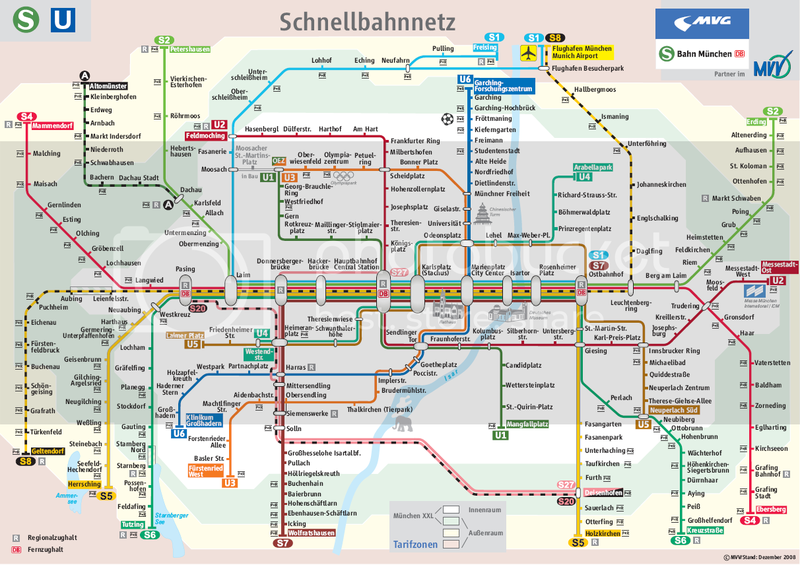 The flower shape would work for this hypothetical system, and compare the actual public transport system with its map. doing what on purpose? I'm just saying, the question cannot be properly podered without much more data. I was talking about "proyect." Every line would be served in both directions, of course. Damn you, letter j !!!! Of course, but it still holds. If you are, for example, in the top north, and you want to go to one of the eastern petals, you would take the train that goes west. Right? The thing about having no more than four storeys is quite odd, and the low density in general seems surprising. I suppose if you have only some kind of rail as transportation, it does sort of make sense to make a railway-shaped city, which would lead to a lot of greenspace in between the rail lines. Still, it seems a little dubious. I think I'll stick to a roughly circular city. I quite like the Milton Keynes idea, too (that of having a big grid with less grid-like roads inside). It's mainly made for cars, I suppose, but it might be useful for bikes as well. If it's not laid out in a grid or spoke pattern, I doubt people would try to understand it in terms of "east" and "west." They'd probably just get on the "Westborough-bound train" or whatever. Unless you tell them they're going west, a lot of people won't notice anyway.